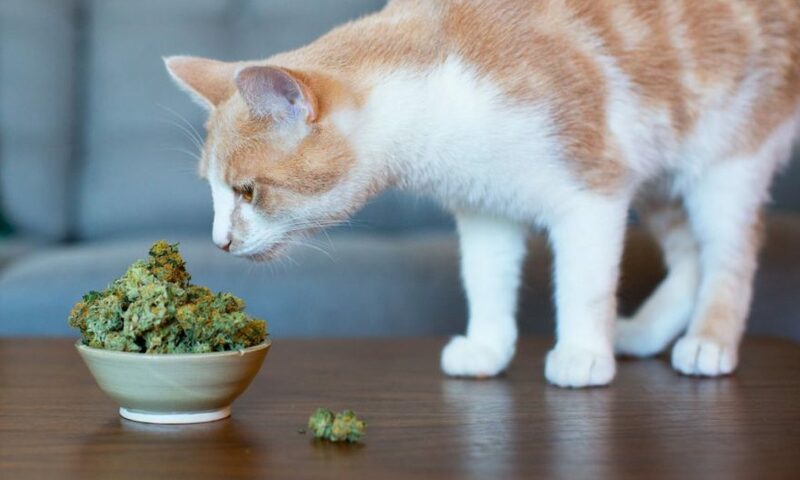 Cannabis for Pets: What Benefits does it have? The cannabis plant, popularly known as marijuana or hemp, is a plant species that, apart from its recreational use, has aroused great scientific and clinical interest for its multiple therapeutic properties, not only for humans, but also for pets. What is the Secret of Medicinal Cannabis? Not all cannabis plants are the same: they can vary in the amount of fibber, the size reached and the biochemical profile, among other characteristics. The health benefits are given by the significant amount of molecules called phytocannabinoids, among which are cannabidiol and CBG. These chemicals regulate a physiological system present in the body and brain of all mammals, including humans: the endocannabinoid system. Its mission is to regulate the good functioning and the balance between the rests of the systems that are part of the organism. In the market there are different formulations with cannabis: plant extract, seed oil, CBD oil. Which is better? Scientific studies have shown that the different phytocannabinoids in cannabis help each other to exert a more potent effect than they can generate separately. This synergy is known as the effect Entourage or entourage effect. For this reason, a product formulated with plant extract, which contains a large number of phytocannabinoids, will always be much better at a clinical level, compared to another product that contains only an isolated molecule, such as purified CBD. On the other hand, hemp oil is usually obtained from the seeds. They are interesting products at the nutritional level, as it provides proteins, fatty acids … but has very low levels of phytocannabinoids with therapeutic properties, such as CBD. The best product, then, will be one that contains whole plant extract, which will take advantage of the Entourage effect. Where and how does cannabis extract work? Cannabis In some pathology, such as atopic dermatitis or inflammatory allergies, it has been seen that the SEC is altered. The great potential of phytocannabinoids is that they interact with different elements of the SEC to modulate their activity. The final consequence is that these molecules are capable of regulating physiological processes as vital as the sensation of pain, the release of pro-inflammatory cytokines, neurotransmission. The safety and therapeutic effectiveness of phytocannabinoids has surprised the scientific community, who year after year allocates more resources to identify other possible applications of cannabis extract. PharmaCielo a Canadian company and its CEO Tony Wile has become a leading supplier of naturally grown and processed, standardized medicinal-grade cannabis oil extracts and related products. In short, cannabis extract has been shown to have a significant number of advantages; among them, having a powerful anti-inflammatory, analgesic, antioxidant and neuro protective effect. In addition, those products that do not contain THC, may exercise beneficial effects without side effects at the psychotropic level.